2The International Islamic Center for Population Studies and Researches, ART Unit, Al-Azhar University, Cairo, Egypt. 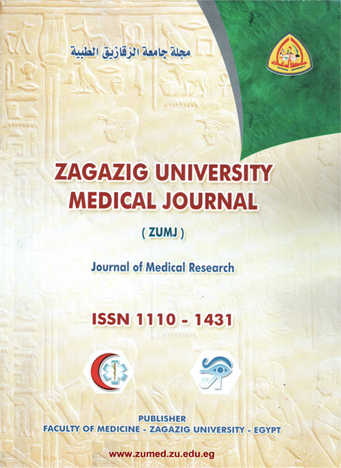 Methodology: 94 women who had attended the maternity hospital at Ain Shams University hospital from June 2013 to the end of December 2014 and indicated for Caesarian section, were randomized into 2 groups: group I (n=47) included women who received post Caesarian section subcutaneous injection of 0.5 ml sterile water, and group II (n=47) received intramuscular 3ml of 75mg Diclofenac sodium. Assessment of pain score in total subjects for need additional analgesia and assessment of maternal side effects was conducted in both groups. Results: there are statistically significant difference between both groups as regard onset of pain relief (23±9.9 and 16±6.4) in group 1 and 2 respectively with P-value(<0.001).Also 13 cases in group І needed additional analgesia while no cases needed in group ІІ (28% and 0%) respectively with P-value <0.001.As regard appearance of side effects 5 cases showed side effects(flushing and stinging pain) in group 1 and no recorded side effects in group 2(11% and 0%) respectively with P-value =0.022. Conclusion: sterile Water was found to be safe, simple and efficient method of pain relief after caesarean section and free from major negative side effects which associated with other methods. In spite of these advantages, non-steroidal analgesics seems to has the priority in view of potency, rapid analgesia and the less side effects.